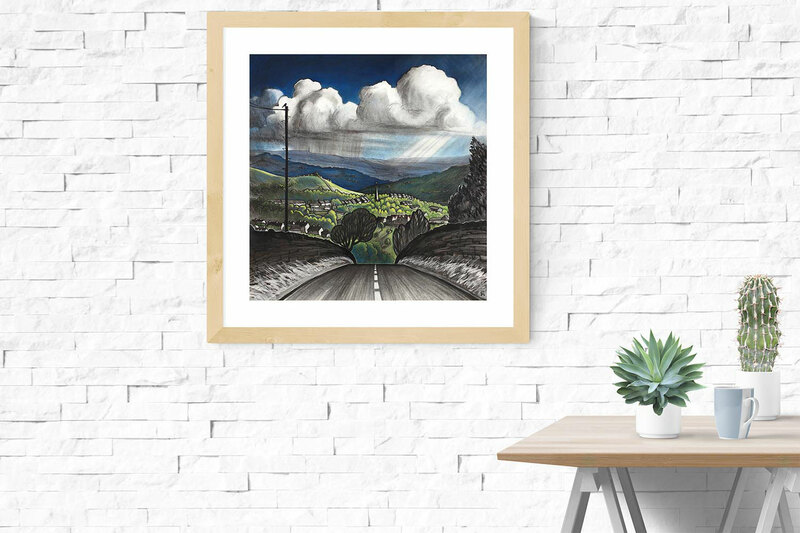 Charcoal and coloured pastel landscape showing the view down Mellor Road towards New Mills, Derbyshire. The spire of St George’s Church can be seen in the centre of the picture, with rain clouds and sunlight over the distant hills. This view of my home town describes the feeling of coming home.